Twitch is joining forces with BBC Studios for the first-ever digital broadcasting event of the Classic Doctor Who era. Over 500 episodes from 26 seasons dating from the show’s inception in 1963 until the 1980s will air worldwide over a seven-week period. Starting May 29, fans can tune in each week Monday to Friday at 11 am PDT to catch episodes on Twitch.tv/TwitchPresents. We are constantly looking at ways to reach new audiences and make it easier for fans to engage with our most popular shows. Doctor Who, in particular, has a great tradition of pioneering new technologies, from early VHS all the way through to the new digital services of today. 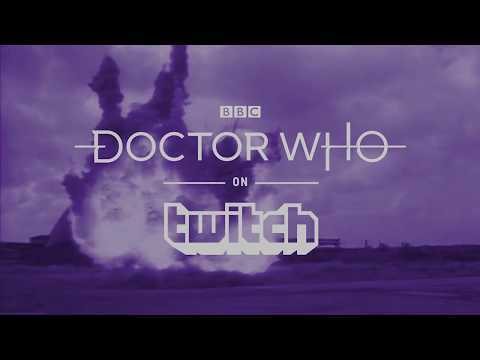 Twitch is another great example of this, as a brilliant service with over 15 million active daily users, we are thrilled to be able to offer them the chance to indulge in the Classic Doctor Who series and celebrate its amazing 54 year legacy of excitement and innovation. Doctor Who is the latest in over a dozen TV shows that have aired on Twitch. Viewers who Subscribe to the TwitchPresents channel will gain access to 14 exclusive emotes themed after each of the first seven doctors. For Doctor Who fans in the US, UK, and Canada, Twitch is hosting a giveaway each week of the event, including a grand prize trip to London Comic Con in Fall 2018. “Doctor Who and its clever take on sci-fi exemplifies the type of adjacent content to gaming that has resonated with the Twitch community. By presenting this iconic BBC show in a new interactive format, it is a fun new way to bridge several generations of Doctor Who fans, while building a new generation of them.